The Chicago White Sox head to Minute Maid Park on Tuesday, September 19, 2017 to take on the Houston Astros. The expected starting pitchers are Lucas Giolito for the White Sox and Collin McHugh for the Astros. The odds for this matchup have Chicago at +185 and Houston at -200. The White Sox have a 71-72-6 over/under mark and a 79-70-0 run line record. 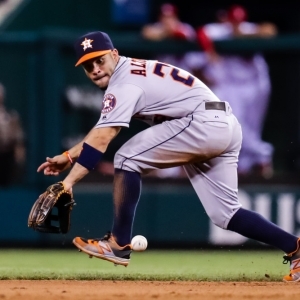 The Astros are 78-71-0 against the run line and have a 75-65-9 over/under record. The White Sox have a 60-89 overall record this season. Starting pitcher Lucas Giolito has a 2-2 record with an earned run average of 2.56 and a WHIP of 0.95. He has 26 strikeouts over his 31.2 innings pitched and he's given up 19 hits. He allows 5.4 hits per 9 innings and he has a FIP of 5.3. The bullpen has an earned run average of 4.47 and they have given up 466 base hits on the year. Teams are hitting .243 against the bullpen and they've struck out 471 hitters and walked 221 batters. As a team, Chicago allows 8.9 hits per nine innings while striking out 7.6 batters per nine innings. They are 26th in the league in team earned run average at 4.86. The White Sox pitchers collectively have given up 1,292 base hits and 706 earned runs. They have allowed 230 home runs this season, ranking them 2nd in the league. Chicago as a pitching staff has walked 585 batters and struck out 1,108. They have walked 4 men per 9 innings while striking out 7.6 per 9. They have a team WHIP of 1.44 and their FIP as a unit is 5.24. As a team Chicago is hitting .259, good for 12th in the league. The White Sox hold a .422 team slugging percentage and an on-base percentage of .317, which is good for 22nd in baseball. They rank 14th in MLB with 8.9 hits per game. Tim Anderson is hitting .262 with an on-base percentage of .281. He has 142 hits this season in 541 at bats with 53 runs batted in. He has a slugging percentage of .414 and an OPS+ of 84. Jose Abreu is hitting .306 this year and he has an on-base percentage of .358. He has totaled 177 hits and he has driven in 97 men in 579 at bats. His OPS+ is 141 while his slugging percentage is at .553. The White Sox have 1,319 hits, including 236 doubles and 174 home runs. Chicago has walked 371 times so far this season and they have struck out 1,279 times as a unit. They have left 979 men on base and have a team OPS of .739. They score 4.43 runs per contest and have scored a total of 660 runs this year. Houston has a 91-58 overall mark this year. With an earned run average of 3.61, Collin McHugh has a 2-2 record and a 1.27 WHIP. He has 43 strikeouts over the 47.1 innings he's pitched. He's also given up 45 hits. He allows 8.6 hits per nine innings and his FIP stands at 4.19. The bullpen has an earned run average of 4.48 and they have given up 457 base hits on the year. Teams are hitting .237 against the Astros bullpen. Their relievers have struck out 606 batters and walked 198 opposing hitters. As a team, Houston allows 8.3 hits per nine innings while striking out 9.9 batters per nine innings. They are 12th in the league in team earned run average at 4.25. The Astros pitchers as a team have surrendered 1,229 base knocks and 628 earned runs this season. They have given up 179 home runs this year, which ranks 21st in Major League Baseball. Houston as a staff has walked 489 hitters and struck out 1,459 batters. They give up a walk 3.3 times per 9 innings while they strike out 9.9 per 9. Their team WHIP is 1.29 while their FIP as a staff is 3.97. As a team, they are batting .282, good for 1st in the league. The Astros hold a .479 team slugging percentage and an on-base percentage of .345, which is good for 1st in baseball. They rank 1st in MLB with 9.8 hits per contest. Josh Reddick comes into this matchup batting .315 with an OBP of .363. He has 145 hits this year along with 82 RBI in 461 AB's. He maintains a slugging percentage of .482 with an OPS+ of 132. Jose Altuve is hitting .348 this season and he has an OBP of .409. He has collected 193 hits in 554 at bats while driving in 77 runs. He has an OPS+ of 165 and a slugging percentage of .556. The Astros as a unit have 1,456 base hits, including 317 doubles and 221 homers. Houston has walked 466 times this year and they have struck out on 987 occasions. They have had 1,009 men left on base and have an OPS of .824. They have scored 5.47 runs per game and totaled 815 runs this season. Who will win tonight's White Sox/Astros MLB game against the spread?